The amount of professional fees to be paid is key when deciding whether to open a succession or not; therefore, we will address this issue separately so as to clear all possible doubts about it. At Kier Joffe we have a wide range of payment terms available to clients so that they may easily pay our professional fees for the service provided. Moreover, as we handle succession proceedings exclusively, we study each case thoroughly and offer clients the best terms of payment possible. Professional fees are charged for the professional work performed by the attorney handling the case, and they do not include the expenses that may be incurred as a result of initiating the succession proceedings in court, such as the publication of estate notices, the obtainment of any missing birth or death certificate, or the delivery of chain of title reports. Kier Joffe abides by the legislation in force setting the percentage range for counsel’s fees that may be fixed in the City of Buenos Aires. Such range goes from 11% to 20 % of the actual value of assets, which is reduced by 25% as provided for by the Attorney’s Fees and Rates Law. On the other hand, such percentage in the Province of Buenos Aires, ranges from 7% to 25% of the tax valuation (which is usually close to the actual value) or actual value of the assets to be transferred. In our experience, it is always convenient to reach an agreement with the attorney as to the amount of fees and terms of payment, as judicially determined fees may be much higher than those that could have been agreed in a Fees Arrangement. Generally, Kier Joffe’s professional fees range from 10% to 15% of the actual value (market value) of the assets to be transferred. The greater the number of assets or assets’ value, the lower the percentage of fee applied. Our clients may choose to pay in installments until the ruling acknowledging the legal heirs to an intestate succession and its certified copy are issued; or, they may pay the total amount of fees once succession proceedings are concluded. In certain cases, heirs decide to sell real property following the “fast-tracking purchase” system once the ruling acknowledging legal heirs is issued. The proceeds of such sale are then used to pay professional fees. It is to note that if no fees arrangement is signed, the attorney may request the court to fix the corresponding amount of professional fees, which may end up being much higher than those that might have been agreed with the client. Each case is special and particular, that is why we are always willing to discuss each case individually so as to agree on the best payment terms possible. We seek to be a solution, not a hurdle, in the difficult circumstances you are facing. This entry was posted in News on August 5, 2012 by Elias Kier Joffe. Before submitting your enquiry, we suggest that you carefully read our FAQ to find out more about many of the questions our clients usually ask before initiating a succession proceeding. If after reading them you still have any questions, please feel free to contact us using our contact form. How long will it take to complete a succession proceeding? 1. Whether the documentation required to initiate the succession is available: birth certificates, death certificates, vehicles ownership certificates, real property title deeds (houses, departments, vessels, motorcycles, motor vehicles, securities and shares, bank statements). 3. The number of heirs and their willingness to speed up the process by signing all the documentation needed and by collaborating in moving forward the judicial process. 4. Whether there is any conflict among heirs, in which case, such conflicts must first be solved by a judge to be able to move forward with the succession proceedings as set forth by the legislation in force. Finally, it is to note that the completion of all procedural terms and stages (filing of the petition for succession, publication of estate notices in the Official Gazette, ruling acknowledging the legal heirs to an intestate succession, distribution and registration of the assets composing the decedent’s estate) is the guiding principle of any succession proceeding. 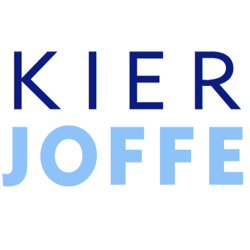 Kier Joffe Law Firm provides the most effective legal solution for succession cases of diverse nature. We handle both simple and complex registrations involving assets in the national territory and abroad. What types of successions are there? Which are the initial expenses involved in opening a succession? Succession expenses are incurred per stages. They may involve the issuance of certificates evidencing family bonds between the decedent and their heirs, the form used to register proceedings involving the entire estate of a person, court fees, attorney’s mandatory social security contributions (lex provisional), and succession notices. It is not an expensive process. Are succession proceedings unnecessary if the deceased person has left a will? No, wills do not render succession proceedings unnecessary as a testamentary succession will have to be initiated. Are estate notices necessary in a testamentary succession? Yes, even if heirs present a will, courts usually order the publication of succession notices to make sure that there are no forced heirs and that the will is valid. Which are the most frequently used types of wills? Yes, as many times as the testator may desire. The last will made will be the valid one, superseding all previous wills. What does it mean to honor the legitime? The legitime is the portion of estate the testator may not freely dispose of, even if they want to, as it is reserved for forced heirs by law. What portion of the decedent’s estate is the legitime? Children are entitled to inherit 4/5 of the decedent’s estate, parents inherit 2/3, and the surviving spouse inherits 1/2. This does not mean that they will inherit that percentage only, but determines the portion of the estate they cannot be deprived of by will. The remaining portion of the estate can be disposed of by will for the benefit of any other individual (regardless of whether they are relatives or not, forced heirs or not). What happens if a person dies leaving no heirs and no will? It is considered escheated property and, as such, all assets are transferred to the Government of the City of Buenos Aires. This is not convenient, as assets will not benefit those who should be benefiting from them. If you have no forced neither natural heirs, or if you do not wish your relatives to inherit you, you can make a will in favor of a public welfare organization as a way to contribute to the community. Can a succession proceeding be initiated if any of the heirs do not agree? Yes, a single heir may initiate the succession and may inform the judge of the existence of all other heirs, who will be summoned by judicial notice to appear in court and enforce their rights. In addition, succession notices shall also be published. However, if heirs are known, they must be reported in the initial pleadings. What documents must be submitted to initiate a succession proceeding? Birth certificates of surviving children and, if applicable, death certificate of any deceased children. Marriage certificate if the decedent was married. Spouse’s death certificate if the decedent was a widow or widower. Certificates evidencing any other type of relationship. Bank account or safe deposit box information (this can be obtained by court order, but it will take longer). Title deed of real property, vehicles, vessels, or any other property subject to registration. Chain of title report of all assets to be transferred. Original will in case of testamentary succession. How are the amounts to be allowed for counsel's fees fixed in a succession proceeding? Pursuant to the applicable legislation, counsel’s fees in the City of Buenos Aires range from 11% to 20% of the actual value of assets, less 25%. In the Province of Buenos Aires, they range from 7% to 25% of the assets’ tax valuation (which is close to the actual value) or actual value. As the amounts to be allowed for counsel’s fees in a succession proceeding may be quite high, it is advisable to enter into a fees arrangement with your attorney before initiating the proceedings. Such arrangement usually provides for a lower percentage: from 10 % to 15 % of the value of assets, depending on their significance (the greater the number of assets, the smaller the percentage charged). If you do not enter into a fees arrangement with your attorney, they may request the courts to fix the amount of counsel’s fees, which may be much higher than those you would have agreed by mutual consent. When are counsel’s fees paid in a succession proceeding? This may be agreed with the attorney handling the succession. You may agree on paying counsel’s fees in installments throughout the proceedings; or in a one-off payment once the ruling acknowledging the legal heirs of an asset is registered or once the asset is sold, if it has been planned that it will be sold immediately. A customized agreement may be reached with each client depending on the characteristics of each case. Clients wishing not to sell the assets inherited, prefer to pay in installments or to pay after the ruling acknowledging the legal heirs is registered. Other clients decide to sell the inherited assets as soon as possible because they do not have enough money to make payments throughout the proceedings. In that case, attorneys collect their fees once the real property is sold, for which purposes, a reasonable term is set to complete the sale. Can the assets of a decedent’s estate be sold before paying counsel’s fees? The assets of a decedent’s estate cannot be sold if the related counsel’s fees remain unpaid. The judge will demand the consent of all attorneys that may have acted in the succession proceedings, not just the last one. The attorneys may object to the sale until their fees are paid, or they may agree to it on the condition that the acting Notary Public may withhold the amounts necessary to cover their fees. For more information about Professional Fees please click here. How much does a succession proceeding cost? In the City of Buenos Aires, court filing fees amount to 1.5% of the proportional value of the assets included in the decedent’s estate, whereas registration expenses depend on the assets to be registered. In the Province of Buenos Aires, court filing fees amount to 2.2% plus a court surcharge equivalent to 10% of the amount of court filing fees. In addition, turnover tax and social security contributions are payable as well. When is a succession completed? Once the succession or assets distribution are registered with the Registry of Property, and the client receives a certified copy thereof, the succession is considered completed. Frequently, it is erroneously believed that the succession is over just because the ruling acknowledging the legal heirs has been issued. But this is not the case. Heirs may not dispose of the assets until such ruling is registered with the corresponding Registry. Can the succession include a single asset if the decedent’s estate is composed of several assets? Yes, initially, a succession may be opened and the ruling acknowledging the legal heirs to it may be registered for a single asset. All other assets may be progressively added and registered in the future. In certain cases, the decedent’s assets are not known or no accurate information about them is available at the time the proceedings are initiated; thus, assets are reported gradually. What is the decedent’s estate? The decedent’s estate is the totality of assets (real and personal property, vessels, vehicles, shares, and investments) owned by the decedent and subject to succession proceedings after their death. The publication of estate notices is mandatory to initiate any intestate succession proceedings (without a will). These notices, whereby heirs and creditors are summoned to enforce their rights, are published for three days in the Official Gazette as well as in any other newspaper chosen by the Judge. Heirs and creditors are granted a 30-day term to appear in court following the publication of the last estate notice. If the estate is composed of a single asset of no multimillionaire value, the attorney may request that estate notices be published in the Official Gazette only (as this is less expensive). How can it be determined which assets must be subject to succession proceedings if the decedent’s estate is unknown? An enquiry is filed with the Registries of Real Property of the City and the Province of Buenos Aires providing the decedent’s name, surname and ID number so as to obtain a certificate listing all assets registered under that name. If the bank where the decedent held their accounts is not known, an information request may be sent to the Central Bank of Argentina so that it may inform the decedent’s data held by it. What is the acknowledgement of the legal heirs to an intestate succession? It is the ruling entered by a judge whereby the legal heirs to an intestate succession are acknowledged. It is issued after the expiration of the succession notices and it recognizes as heirs all those who have appeared in court and proved their relationship with the deceased. Do spouses inherit marital property? No. When one of the spouses dies, the other one acquires 50% of the marital property they were entitled to, as the marital partnership is terminated because of death. Any surviving children will inherit the remaining 50% of marital property in equal shares. Marital property is property acquired during marriage. What percentage of separate property is inherited by the spouse? If the deceased has left surviving children, the surviving spouse will inherit the same percentage of separate property as all other children. The surviving spouse will not inherit 50% of the decedent’s separate property, but the same percentage as their children. Therefore, if a surviving spouse and 4 surviving children are acknowledged as heirs, each of them will inherit 1/5 of the separate property owned by the decedent. Separate property is any property acquired before marriage or by inheritance or gift. It is the simplest and most inexpensive type of will, as it is handwritten, signed, and dated by the testator. To be filed in the succession proceedings, heirs must first have the testator’s handwriting and signature recognized by two witnesses and, then, they must have the will notarized. It is convenient (although not essential) that the testator’s signature be certified by Notary Public or that the holographic will be registered with the Bar Association of the City of Buenos Aires. It is a deed signed before a Notary Public in the presence of three witnesses. It is much more expensive than the holographic will that may be suggested by any attorney. The advantage is that if it gets lost or if someone makes it disappear, a copy will always be kept at the Notary Association. Nevertheless, a copy of the holographic will can also be kept at the Bar Association. In which jurisdiction are succession proceedings initiated? The competent jurisdiction is determined by the last domicile of the deceased, i.e. it depends on where they lived. If their last domicile was located in the City of Buenos Aires, the succession proceedings will be initiated at the Civil Court corresponding to that City. If their last domicile was located in the Province of Buenos Aires, the proceedings may be brought in the court closest to their last domicile, or a change of venue to any other location in the province may also be requested. It doesn’t matter where the assets of the estate are located. If the last domicile of the deceased was located in the city of Buenos Aires, that’s where the succession will be initiated. The domicile appearing in the death certificate is crucial. If the last domicile of the deceased was, for instance, Italy and they had assets in Argentina, the succession proceedings will be brought in an Argentine court. What is a substitute heir? If an heir of the decedent dies, such right is transferred to the descendants of the deceased heir who may substitute the deceased heir and inherit what the latter may have been entitled to. For instance, in the succession of a man (grandfather) whose son (father) died before him, his granddaughter will be entitled to inherit her grandfather as a substitute heir replacing her late father. The substitute heir will inherit the exact same portion of estate as the represented heir would have inherited. What is the assignment of inheritance rights and succession related actions? The assignment of inheritance rights and succession related actions is documented by means of a public deed whereby heirs assign to others their rights and obligations with respect to a given asset or to the entire estate. This deed must be filed after the succession is opened and before requesting that the ruling acknowledging the legal heirs be registered. It is used to divide assets among heirs or to sell them. How are assets registered in a succession? The assets of a succession may be registered as jointly owned property (i.e., each heir is the owner of the percentage of assets to which they are entitled) or, if the assets have already been distributed or if rights to them have already been assigned, each heir may appear as owner of the corresponding asset. This registration is not made before a Notary Public but before the court settling the succession. Are succession proceedings unnecessary if the decedent’s real property is sold following a fast tracking purchase process? No. Succession proceedings are not rendered unnecessary if real property is sold in a fast tracking purchase process, as the only step “avoided” in that case would be to register the piece of real property in the name of heirs to then sell it shortly afterwards. Succession proceedings must be conducted anyway. When should the acknowledgement of the legal heirs to an intestate succession be registered under a fast tracking system? If by the time the succession is completed, the heirs have finally decided to sell the assets, the ruling acknowledging the legal heirs to an intestate succession must be registered by fast tracking; i.e. in a single act before a Notary Public, assets are transferred from the registered owner (the decedent) to heirs and from heirs to buyer. For such purposes, the attorney must request that the registration be made by fast tracking, and must provide the name, domicile and telephone number of the acting notary public, who will be authorized to take the succession records for a few days so as to prepare the fast tracking title deed. This entry was posted in News on July 24, 2012 by Elias Kier Joffe. Do You Need an Argentina Business attorneys? Deciding whether to hire a Argentina Busainess attorneys is an important decision. The first issue is whether you need a Argentina Business attorneys. The involvement of a Argentina attorneys who is experienced in Business international cases will provide to the client with a full understanding of their rights and responsibilities. An experienced Business attorneys can also help to avoid future legal problems that may arise. You must be sure that your philosophy of how to handle your Business case matches that of your attorneys; both of you need to be on the same page. It is important that you ask questions and gather information which reveals the attorneys’s philosophy for handling cases. Selecting the right Business attorneys for your case will help you get through legal problems with the least amount of time, stress and money. Once you have selected a Business attorneys to meet with, the next thing you should do is look into that attorneys’s experience and background. The best way is to search the Internet: Do a Google search on your attorneys. Look for a legal blog, a website, news stories quoting or featuring the attorneys, and other online information. Now that you have selected a Business attorneys to interview and have done research on him or her, the next step is to contact the attorneys’s office and schedule an appointment. Contact the Business attorneys’s office by telephone or e-mail and request an appointment or a Video/Call Conference. When you do this, it is important to tell the attorneys’s office that you would like to discuss a specific type of Business case. Take careful note of how quickly your message is answered. Your inquiry should always be answered promptly. If the attorneys you contacted cannot manage to reply to a potential new client who is bringing him or her a new case and therefore new fees, that fact should tell you something about how he or she will behave once he or she already has your money. The proven Argentina Business attorneys at theKier Joffe attorneyshave experience working with foreign clients involved in all kind of international cases in Argentina. Argentina Argentina attorneys professionals are knowledgeable in almost all the practice areas of law, to service its international cases in Argentina Argentina. International clients will have the confidence of knowing that the case is being handled by an experienced and knowledgeable Argentina attorneys in Argentina. This entry was posted in Blog on July 3, 2012 by Elias Kier Joffe.